You are currently browsing the tag archive for the ‘Asteroid’ tag. It’s time for Ferrebeekeeper to get back out to space. 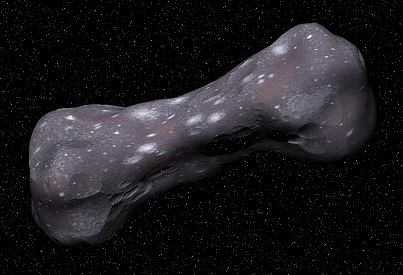 This grotesque gray hambone-looking thing is a metallic asteroid approximately the size of New Jersey known as 216 Kleopatra. The asteroid was discovered in 1880 by Austrian astronomer Johann Palisa when he was director of the Austrian naval observatory at the great Austrian naval port of Pula (!). The asteroid is 217 kilometers long by 94 kilometers deep by 81 kilometers long (135 miles by 58 miles by 50 miles). It is composed of slurry of metal, dust, and…nothing: between 30 to 50% of the asteroid’s volume is empty space (which makes it sound a lot like the consumer goods for sale in American stores). 216 Kleopatra has been the subject of a fair amount of human scrutiny. In 2008, a team of astronomers working from Hawaii’s Keck observatory (at the summit of Mauna Kea in Hawaii discovered two tiny moons orbiting the asteroid. These moons have diameters of about 5 km and 3 km respectively and they are named Alexhelios and Cleoselene for Cleopatra’s children. An obvious question is what knocked this doughty asteroid into a strangely shaped cloud of weird slurry and little moons. The most obvious answer is an oblique impact, which astronomers estimate occurred about a hundred million years ago. I wonder what other secrets this giant rubble pile in space is hiding. Also…it rotates, as seen in this stunning animation. Today’s post concerns various contemporary news items regarding outer space. At first this list may seem like a bit of a mash-up, but it all comes together as a very specific polemical point. This year has already featured a lot of space news, but, sadly, most of it seems like it could have come from the 1950s. 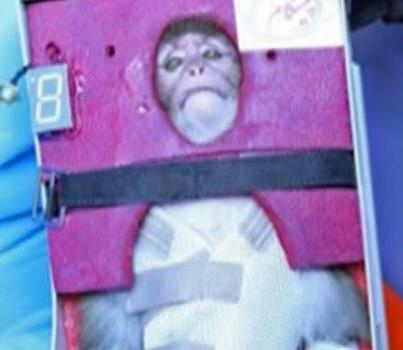 Iran launched a monkey to the edge of outer space. 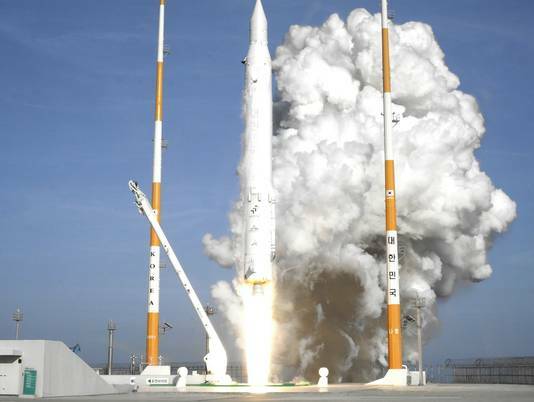 South Korea placed its first satellite in orbit (which seems like a response to North Korea doing the same thing last year). In US space news, the 27th anniversary of the Challenger disaster came and went (that was an epically bad day in 6th grade–which was hardly a picnic anyway). Additionally, America announced that its biggest space plans for the near future include landing a redundant lander on Mars which was not exactly what NASA wanted but it fit the budget and was politically expedient. Our not-very-exciting work on our not-very-exciting next generation rockets continues slowly. Finally, in other space-related news, paleontologists discovered that a massive space event apparently bombarded the Earth with Gamma rays in the 8th century. Astronomers speculate that two neutron stars might have collided! Also on February 15th a 50 meter asteroid will narrowly miss the Earth (flying by closer than many of our communication satellites). On July 1st 1916 at 7:28 AM, the British Army detonated the Lochnagar mine–two underground charges of a high explosive compound called ammonal (respectively 24,000lb and 30,000lb) thereby entirely vaporizing a large section of trenches filled with German infantryman. This was only one of 17 giant mines which the British exploded in Northern France that morning. 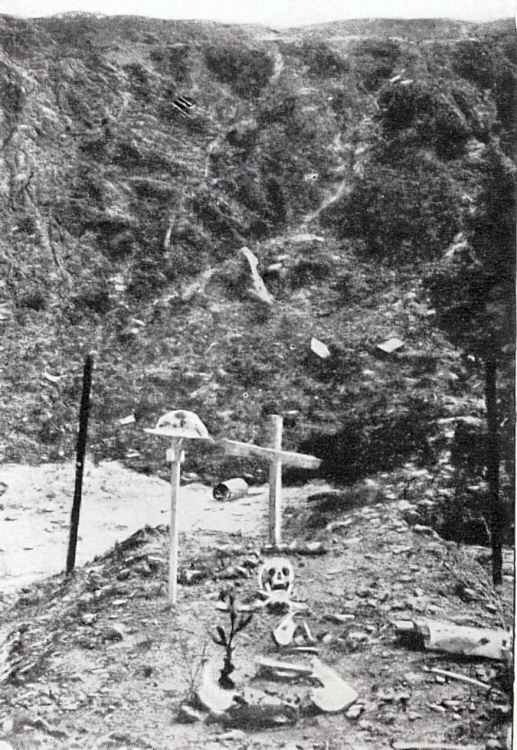 In fact there were an original total of 21 buried explosive charges—but, because of various exigencies, two of these were not exploded until much later on July 1st (one of the remaining charges was detonated by lightning many years after the war, and another was never found). 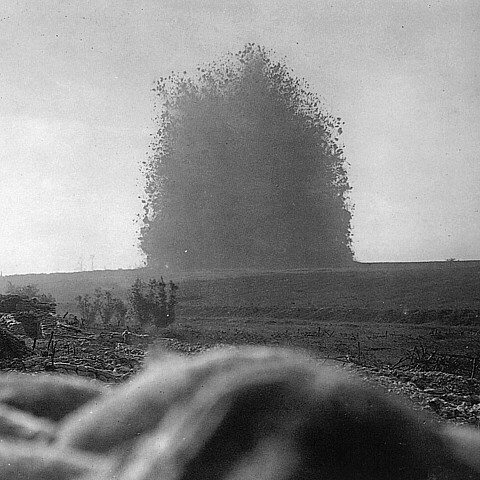 The explosions followed 16 days of heavy artillery fire and immediately preceded a general infantry charge which began the Battle of the Somme. It was an appropriately apocalyptic beginning of the worst day ever for the British armed forces—by midnight there were 57,470 British casualties (19,240 of whom died of their injuries). The battle of the Somme itself ground on until 18 November, 1916 by which point it had claimed over 1,200,000 casualties from both sides. More than three hundred thousand people were killed during the course of the battle. 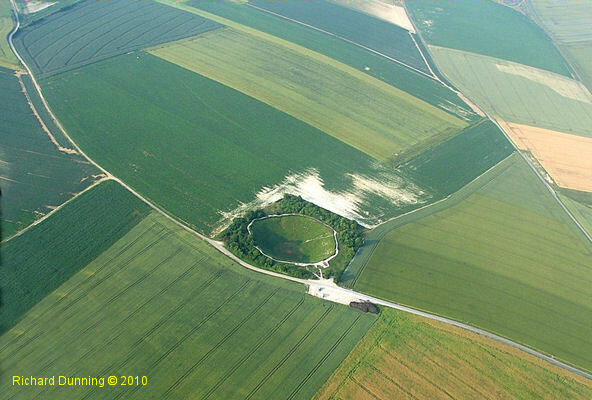 Today the huge scars from that morning have been filled in by farmland—with the notable exception of Lochnagar crater, which was privately purchased and left as a monument to the futility and destruction of World War I. Erosion is taking its toll on the crater, yet, even after nearly a century, the great hole still has a diameter of approximately 91 meters (300 feet) and a depth of 21 meters (70 feet). Lochnagar crater is said to be the largest extant crater created by human artifice during war (obviously pit mines and nuclear test sites are much larger). It still possesses a unique horror—a round void in the placid farmlands of Picardy. To this day the grain fields around it yield rusted rifles, dented helmets, and skeletons in addition to wheat. I am writing about this disquieting pockmark as preparation for writing about Armistice Day later this week, when we can reflect on World War I — surely one of the most comprehensive disasters to befall humankind. 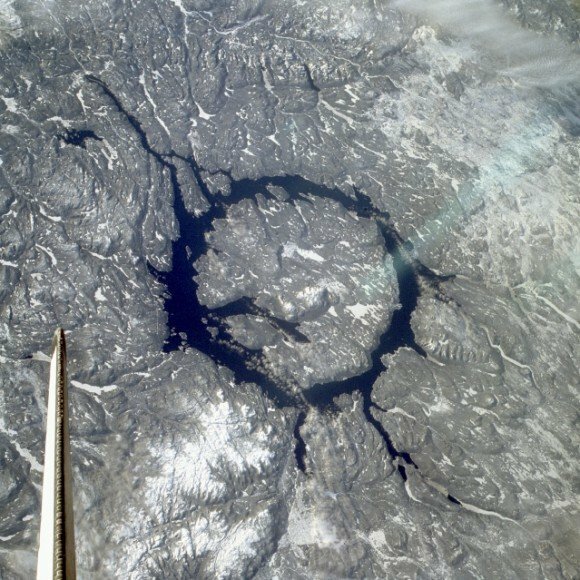 I am also writing about the largest wartime crater on earth, as an opportunity to note how feebly small it is in comparison to even modest meteor impact craters such as Lake Lonar or Kaali Craters, both of which happened in the remote past–to say nothing of giants like the Manicouagan Crater in Quebec which has a diameter of 70 kilometers (even after 225 million years of erosion). Of course all of this should really be cause to reflect on how lucky we are—not only have we missed the Great War (except for you, Florence Green, if you’re reading this), but we have also missed all sorts of other unfortunate events. 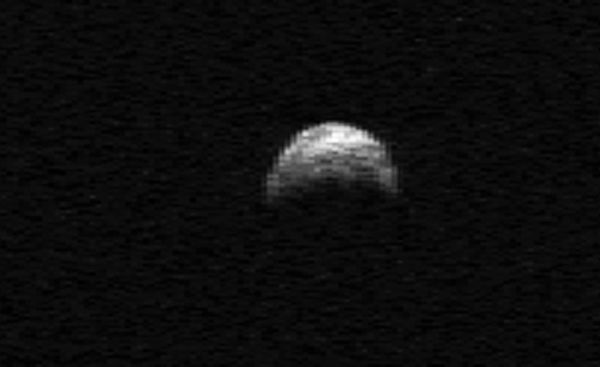 Today at 6:28 PM EST, an asteroid passed by the Earth. At its closest point it was nearer to us than the moon. The space rock (unsentimentally named “2005 YU55”) was about the size of an aircraft carrier and was traveling faster than 13 km (8 miles) a second. An amateur astrophysicist on the web estimates that it would have created a crater more than 5 kilometers in diameter if it had struck a limestone region of Earth. Today’s post topic is located in the depths of space far far away from the bats, pumpkins, and haunted deserts I have been writing about for October. The dwarf planet Ceres is located in the midst of the asteroid belt between Jupiter and Mars. The only dwarf planet in the inner solar system, Ceres is only 950 km (590 miles) in diameter, but it is sufficiently large to have become spherical from its own gravity (and it is by far the largest asteroid). Named after Ceres (Demeter), the mythological goddess of growing things whose daughter was abducted by Hades and who gave the secrets of agriculture to humankind through the farmer Triptolemus, the dwarf planet was discovered in 1801 by Italian astronomer Giuseppe Piazzi, a Roman Catholic priest of the Theatine order. Ceres was the first asteroid to be discovered and it comprises a third of the asteroid belt’s total mass. The nebular hypothesis proposes that the solar system formed as a great cloud of space dust and gas coalesced into a disk which then further coagulated into small clumps, then into planetesimals, then into moon-sized planetary embryos, and finally into planets. Ceres is one of the few (or maybe the only) planetary embryos which formed four and a half billion years ago but somehow did not get smushed together with other like bodies to form a planet or hurled off into deep space. The dwarf planet probably consists of a rocky core surrounded with an icy mantle of frozen water. Ceres is believed to contains 200 million cubic kilometers of water–more fresh water than in all the lakes, rivers, clouds, swamps, ponds (and everything else) on Earth. 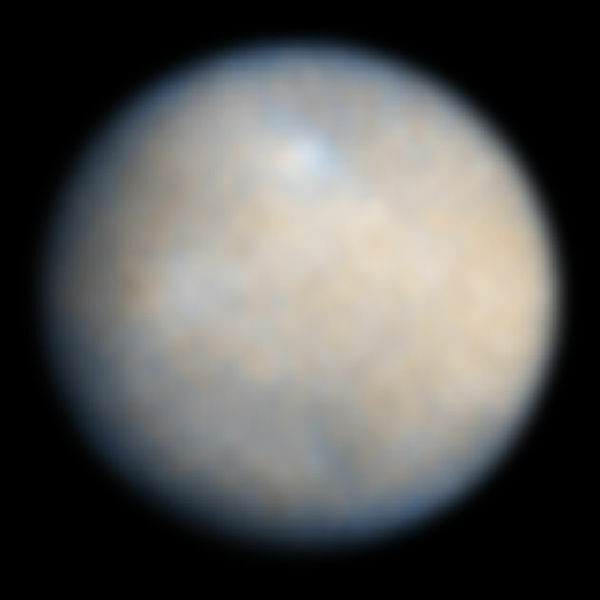 The Hubble telescope has photographed several mysterious surface features on Ceres including a dark spot believed to be a crater (now informally named after Piazzi) and several bright spots, the nature of which is unknown. Astronomers are profoundly curious about Ceres and hope to better understand the history of the solar system by examining this surviving planetary embryo. Additionally, the chemical makeup of Ceres is similar to that of Earth. 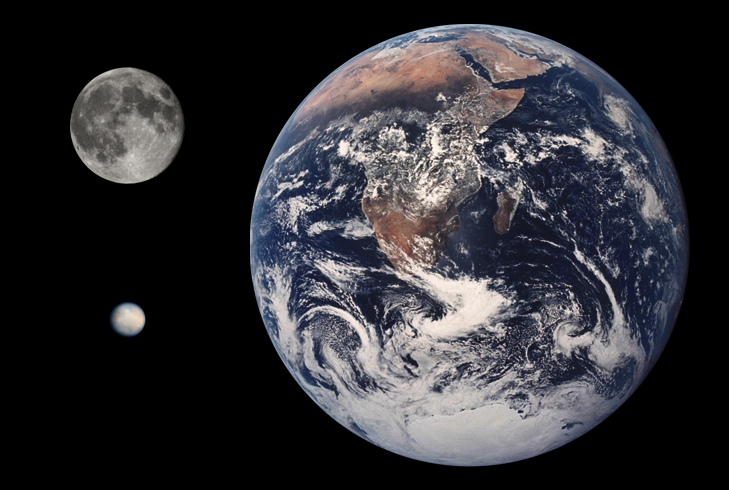 Scientists seeking extraterrestrial life have concentrated on Europa and Mars, but Ceres is next on their short list. 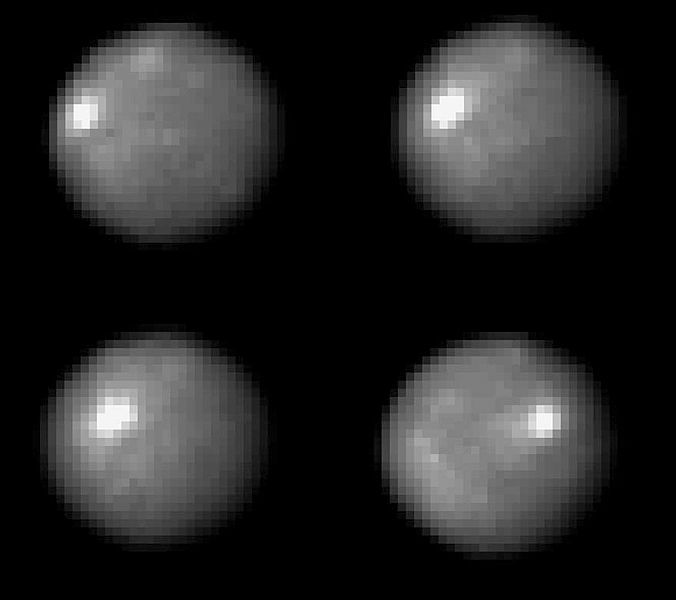 Astronomers will soon have some of their answers about Ceres. The asteroid probe Dawn is currently orbiting the asteroid Vesta–but its mission there is scheduled to end in July of 2012. 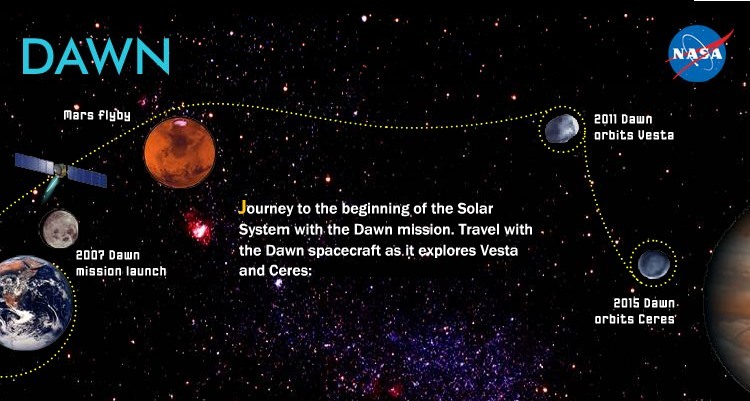 At that point Dawn will power up its ion thrusters and fly to Ceres. In February of 2015 Dawn will enter permanent orbit around the little planet and we will finally have some of our answers. The Electorate of Brunswick-Lüneburg (colloquially known as the Electorate of Hanover) was a principality within the Holy Roman Empire. In the mid eighteenth century, the region was ruled by the Prince Elector, Georg II. A series of religious wars and a strange quirk of fate had made the house of Brunswick-Lüneburg the heirs to the British throne. Prince Elector Georg II was therefore better known to his English subjects and to history as King George II. 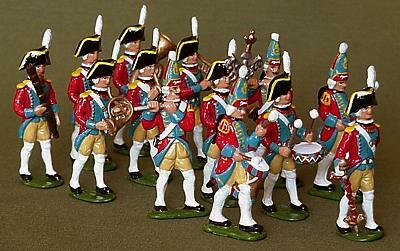 In 1755, George II ordered his Hanoverian Guards Regiment to England. The Hanover Military band went with the Guards. One of the oboists of the band was named Friedrich Wilhelm Herschel. Friedrich was something of a musical prodigy: he also played the violin, the cello, the harpsichord and the organ. When the guards came to England, he liked the country and he left the band to move there permanently. He accepted the position as first violin and soloist for the Newcastle orchestra and later became the organist of the Octagon Chapel in Bath (a chapel attached to a very fashionable spa). 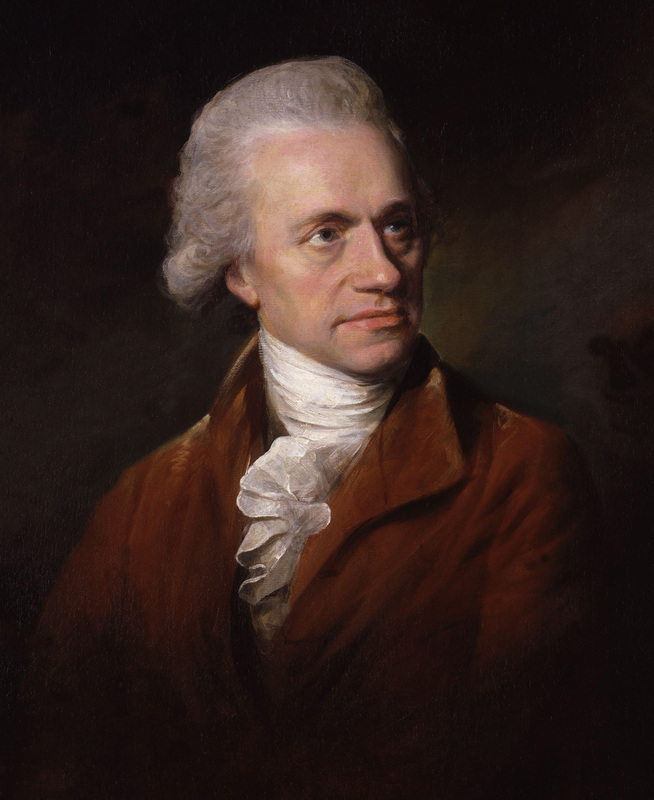 Throughout his career Frederick William Herschel (for he had anglicized his name) composed a great many musical works including 24 symphonies, numerous concertos, and a large canon of church music. Frederick’s music is forgotten today, but later in his life he found his true calling. As his musical career progressed, he became more and more deeply fascinated by lenses and mathematics. At the age of 35, he met the Reverend Dr. Nevil Maskelyne who was Astronomer Royal and Director of the Royal Observatory in Greenwich. Herschel began making mirror telescopes for Maskelyne, personally grinding the lenses and mirrors for up to 16 hours a day. He also looked at the universe through the telescopes he had made and reported his discoveries. What he found made him one of the preeminent scientists in history (he also became extremely wealthy and was granted a knighthood). 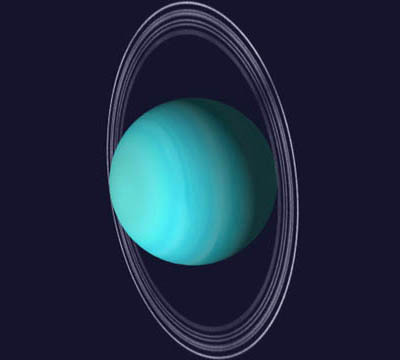 Herschel is most famous for discovering Uranus, the first planet to be found since the depths of antiquity. His other discoveries and ideas are perhaps even more remarkable. He was first to find out that the solar system is moving through space. He coined the word “asteroid” as a name for such objects. By observing Mars he determined its axial tilt and found that the Martian ice caps fluctuate in size. His attempts to determine if there was a link between solar activity and the terrestrial climate were unsuccessful (because of a lack of data), but formed the basis for successful work concerning both climatology and stellar physics. Astonishingly, Herschel discovered infrared radiation, the first non-visible electromagnetic radiation to be known. He accomplished this by passing sunlight through a prism and holding a thermometer just beyond the red end of the visible spectrum. He found two new moons of Saturn and two moons of Uranus. He correctly concluded that the Milky Way is a disk. He debunked the notion that double stars were optical doubles and showed that they are truly binary stars (thus demonstrating that Newton’s laws extend beyond the solar system). In honor of his amazing career, numerous objects, devices, institutes and features around the solar system and beyond are named after Herschel (including the giant crater on Saturn’s moon Mimas). Few people have contributed so greatly to science or changed the conception of everything as much as this gifted Saxon oboist!